Top 5 bird sanctuaries in the state of Kerala. The land of Kerala is an absolute paradise for nature lovers. 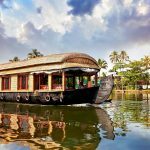 The first images that likely pop into your mind when you think of Kerala are that of coconut palms, pristine hill stations and serene backwaters. Pictures of houseboats, tea gardens and scenic beaches follow right after. Because of such beautiful aspects, the state attracts thousands of nature loving travelers every year. But much to the delight of nature lovers, Kerala is also home to more than 500 different species of colourful and exotic birds. 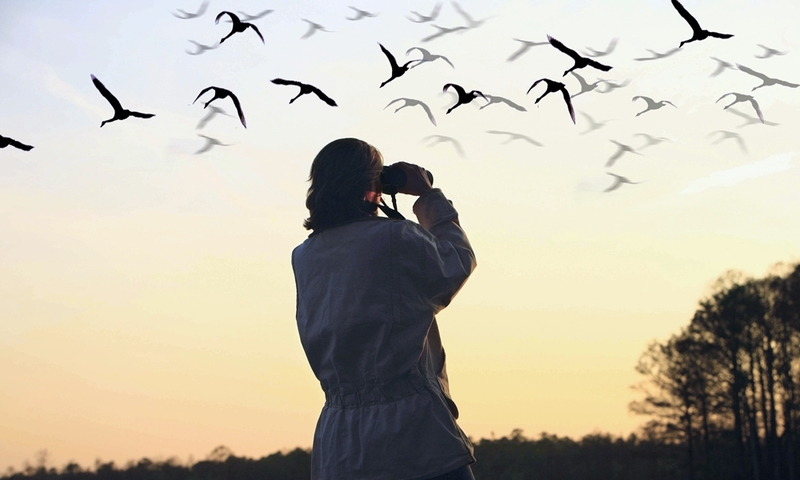 So if you’re a birdwatcher, you can expect to enjoy a truly pleasurable trip in Kerala. When colourful birds flock together, they create a scene that stays in your mind for a long time. And if you’re close enough to hear their delightful chirping, you know the moment is special. The sight of them feeding on grain or sipping water from a pond is just adorable. The tiny creatures rekindle your love for nature in a way only they can. An ardent birdwatcher knows exactly how to appreciate this beauty. He can keep looking and the view never gets tiring. Some of the most beautiful birds in Kerala are White-cheeked Barbet, Malabar Trogon, Black-rumped Flameback, Blue-winged Parakeet and Black-naped Oriole. These, as well as many other species of birds, can be spotted in the state’s bird sanctuaries. Below is a list of the best bird sanctuaries in Kerala. The famous Kumarakom Bird Sanctuary lies on the banks of the Vembanad Lake. It is accessible both through water and road. The sanctuary is home to a number of rare species of migratory birds as well as the native ones. In a 4-km tour of the sanctuary, a visitor can see a number of delightful birds. The sanctuary also has two watchtowers. The second watchtower, which comes at the end of the tour, gives a wide range view of many birds. Many of the birds come out in the open during the early morning hours, right after sunrise. So if you want to enjoy your visit thoroughly, try and go to the sanctuary during dawn. Best time to visit: June – August (Breeding season) and November – February (for migratory birds). Popular birds in the sanctuary: Kingfishers, Herons, Owls, Egrets, Siberian Duck, Steppe Eagle and Osprey. Thattekad Bird Sanctuary is a well preserved bio diverse habitat on the northern banks of the Periyar River. It is home to more than 500 species of native as well as migratory birds. A famous Indian ornithologist, Dr. Salim Ali, compared this sanctuary to the Eastern Himalayas because of its rich bird habitat. Since the place enjoys a moderate climate throughout the year, you can include a visit to this sanctuary in your itinerary no matter what time of the year you come to Kerala. If you take a guided tour, then you will see more birds from the best spots of the sanctuary. The sanctuary is also a delightful place for passionate photographers. Popular birds in the sanctuary: Ceylon Frogmouth, Malabar Woodpecker, Stork-beaked Kingfisher, Emerald Dove and Dwarf Kingfisher. Kadalundi Bird Sanctuary is located about 20 km away from the city of Calicut in Kerala. It is home to hundreds of species of native birds. Over 60 species of migratory birds also visit the sanctuary in particular seasons. That is because the location of the sanctuary enjoys ideal climatic conditions for migratory birds. Along with birds, you will also find fish, crabs and mussels in the sanctuary. Tourists can take the boat services available at the sanctuary to have the best experience of the place. During the boat ride, you will not only enjoy watching the several colourful birds but will also enjoy the pleasant views of lush green plantations. The experience with the turtles is especially delightful. Popular birds in the sanctuary: Whimbrels, Brahminy Kites, Terns, Gulls, Herons, Cormorants and Sandpipers. Mangalavanam Bird Sanctuary is in the city of Cochin in Kerala. The sanctuary brings ecological balance to the densely populated city. It is a safe haven for many local birds as well as a large variety of migratory birds. Until now, about 72 species of birds have been seen at the sanctuary. The sanctuary also has different types of mangroves that make the place both refreshing and beautiful. Since it has great natural beauty, the Mangalavanam Sanctuary is called the ‘Green Lung of Kochi’. The majestic Arabian Sea borders the sanctuary, therefore adding a special charm to the site. There is a lake in the sanctuary that connects to the Cochin Backwaters. Best time to visit: Mid-January – Mid-March. Popular Birds in the sanctuary: Marsh Sandpiper, Common Greenshank, Redshank and Brahminy Kite. Pathiramanal Bird Sanctuary is on a tiny island that belongs to the Vembanad Lake. The place is a birdwatchers’ paradise. It is also an ideal place to visit for honeymoon couples who enjoy bird watching. The sanctuary is home to about 90 species of native birds as well as some 50 species of migratory birds. Since the backwaters of Vembanad surround the sanctuary, the views are scenic. Tourists can reach the island by taking a cruise through the backwaters. It would take 30 minutes to reach the island from Alleppey if you took a speedboat. But a standard motor boat would take more an hour to get you there. The cruise, of course, is quite an experience in itself. Best time to visit: October – May. Popular birds in the sanctuary: Darters, Gulls, Monarch Flycatcher, Herons, Kingfishers and Cormorants.